The Adyar Library and Research Center was founded in 1886 by Henry steel Olcott first president of the Theosophical society for research in eastern civilization philosophy and religion. Its aim is to promote understanding among the peoples of the world through knowledge among the peoples of the world through knowledge of the higher aspects of their respective cultures. The collections of the library consist of about 18,000 manuscript containing about 45,000 works both palm leaf and paper and some 2,00,000 pointed volumes. 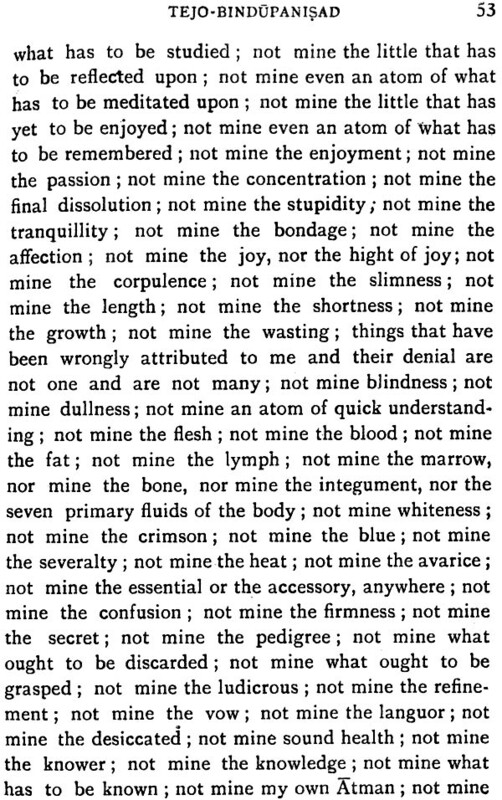 The manuscripts are mostly form India and in Sanskrit. The printed books include old and reared Ideological works and also a fine collection of books on the different religious and philosophies in Sanskrit English and various other languages eastern and western and volumes of important ideological journals. Brahmavidya the Adyar library Bulletin is being published annually since 1937 presenting papers and studies on religion philosophy and various aspects of Sanskrit and other oriental literature as well as editions of ancient texts and translations. The Adyar Library is reprinting the yoga Samanya Vedanta Vaisnava Sakta and Samnyasa Upanisad-s with the commentary of Upanisad Brahmayogin and their translations. 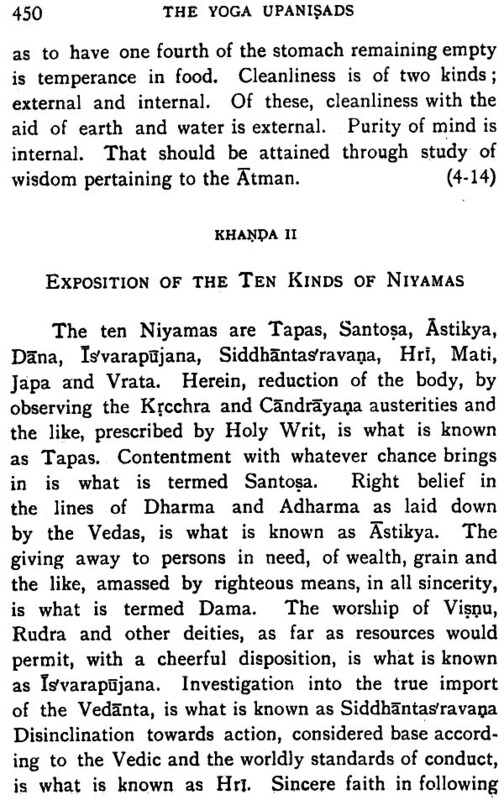 The yoga Upanisad-s this volume contains English translation of twenty translations Upanisad-s like Advayataraka Amrtanada Yogatattva Nadabindu Hamsa etc. They teach the Astangayoga Rahayoga layayoga Hatayoga Mantrayoga Karmayoga etc. Their aims is to help man in controlling his mind so that he can realize the oneness of the individual self with the supreme self and thereby attain final Liberation. 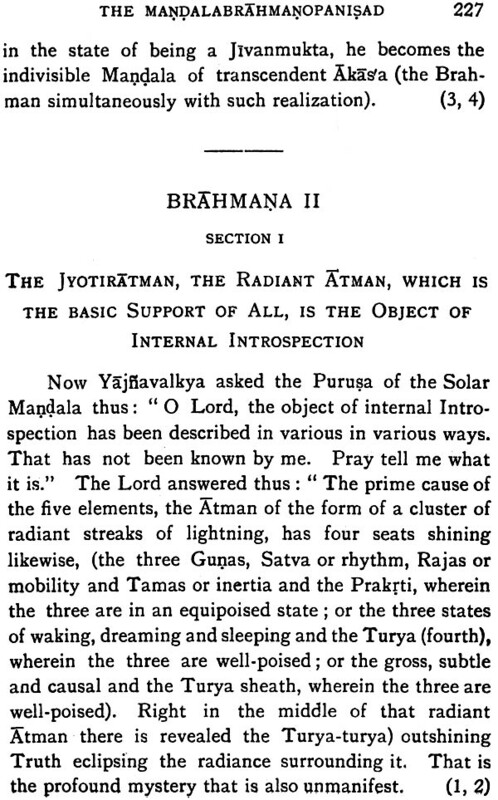 The Sanatana Dharma comprising the religious tradition and conduct in life of the Arayans is based on the four Vedas, Rk, Yajus, Sama and Atharva the treasure mines of knowledge handed down to posterity form time immemorial by the ancient Rsis. 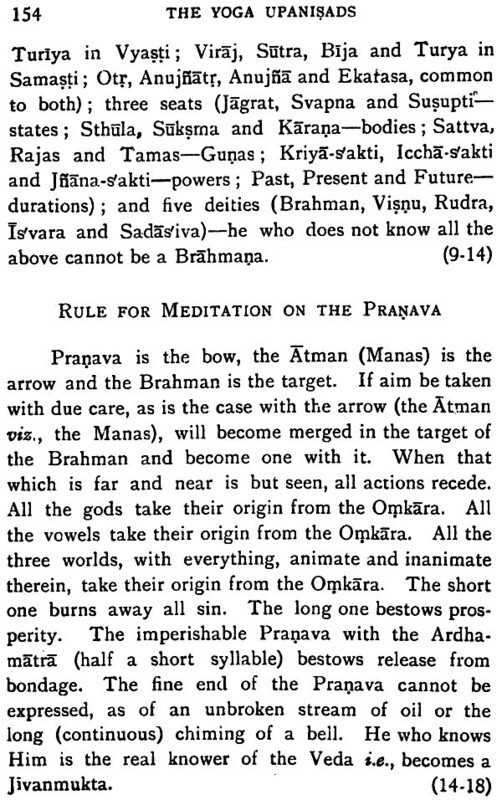 The yajurveda is made up of two parts sukla and Rsna to these Vedas are ascribed several branches (Sakhas) and their number is as follows Rgveda – 21; Yajurveda – 109 samaveda – 1,000; Atharvaveda – 50. These Sakhas are sit to contain one Upanisad each. The aggregate number of the Upanisad-s thus comes to 1 180 of which only 108 are extant at the present day. 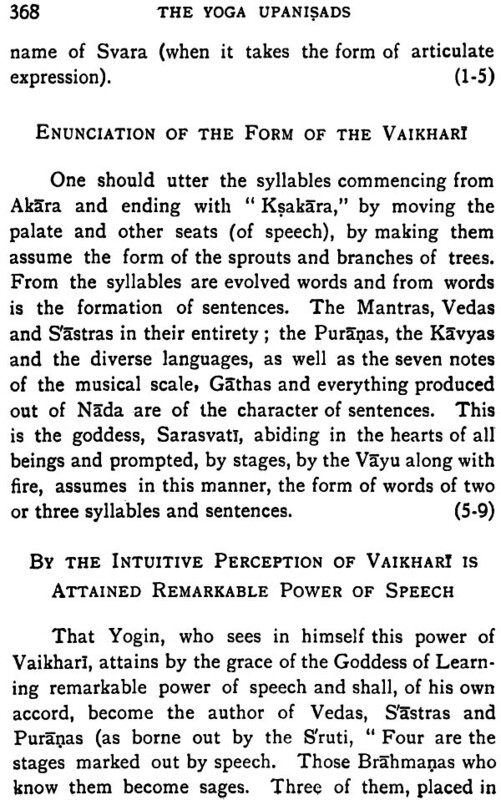 In a bearing on yoga and give a rendering of them in English arranging them in the alphabetical order. 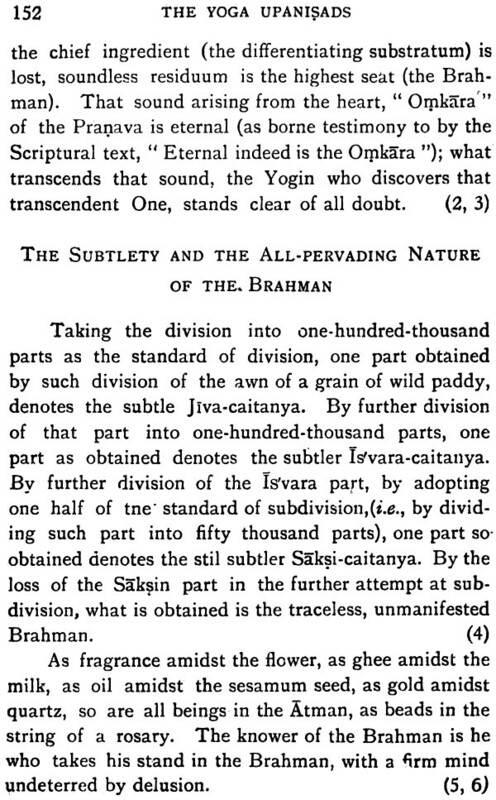 The translation closely follows the commentary of Sri Upanisad Brahmayogin who is the only one so far known to have achieved the unique distinction of heaving written a commentary on all the over hundred an eight Upanisads. 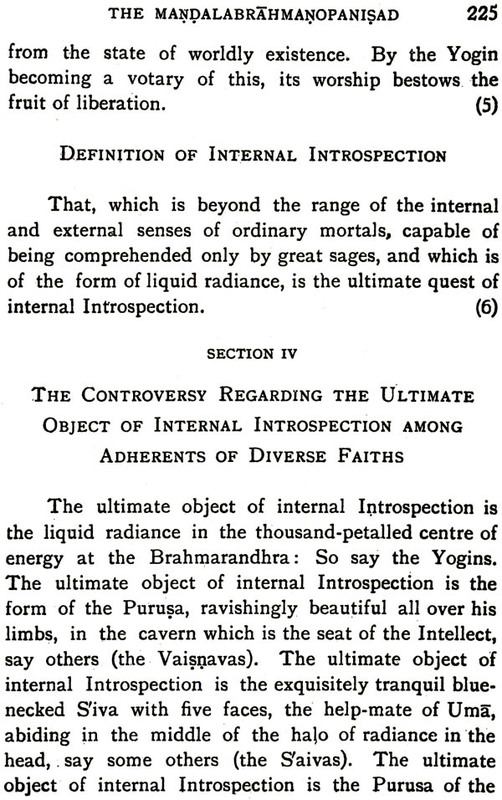 He ahs presented in an extremely lucid manner Sri Sankaracaryas commentary on the ten major Upanisads which of following the interpretation of obscure passages by a single writer right through the entire field covered by the own hundred and eight Upanisads cannot be overestimated. 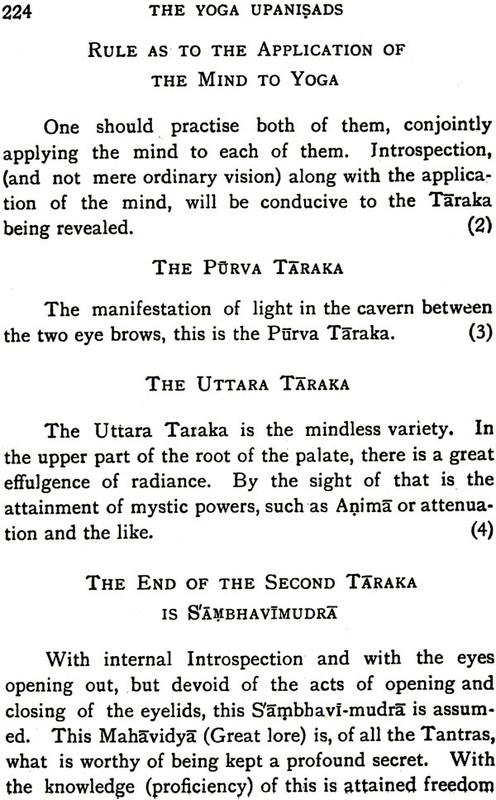 While an attempt has been made to give a verbatim eat literatim rendering of the Upanisads which is indeed no easy task certain portions which do not bear on the words of the text but which are helpful in rendering the meaning clear are added in the light of the commentary. The introductory notes to the Upanisads are enclosed within rectulgar brackets. According to ancient orthodox usage certain Mantras known as Santi mantras are recited both at the commencement and the conclusion of the chanting of the Upanisads such Mantras varying in accordance with the Veda to which the Upanisad belongs. The Muktikipanisad (chapter I) states as follows in regard to this topic. 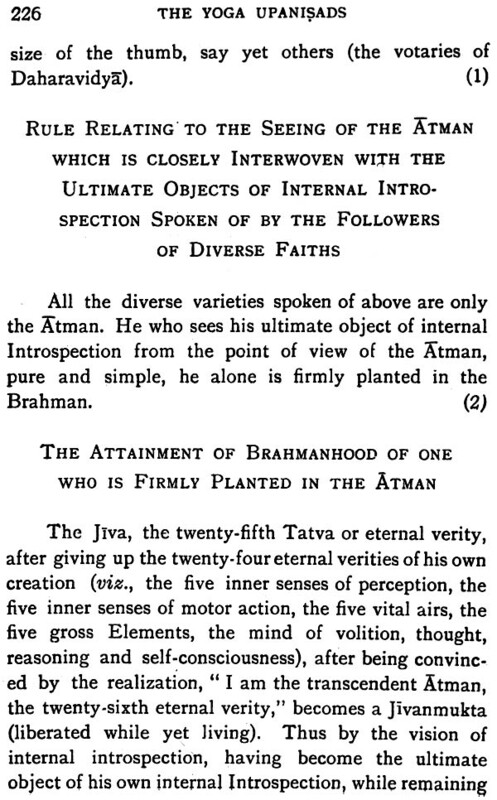 The Upanishads were writings which refined the teachings of the Vedas. They were written at various times, some very ancient and some up to the Mediaeval times. 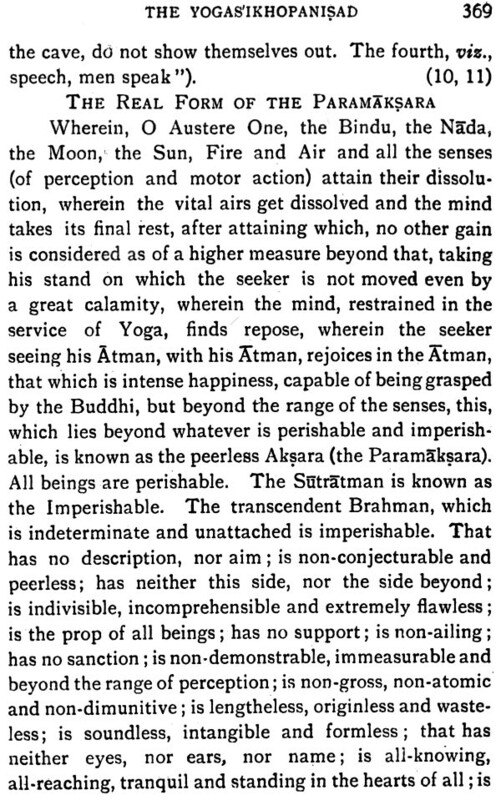 The Yoga Upanishads were the more recent variety, having been composed as late as recent Upanishads written, they are pertain to the philosophy and practice of yoga, and the Sixteenth Century C.E. The Upanishads comprised in this collection are among the most form the basis of modern Yoga thought. 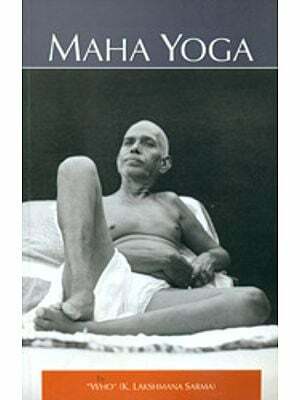 Reading the Upanishads in this collection one can hear Iyenigar, Sivananda and Krishnamacarya. 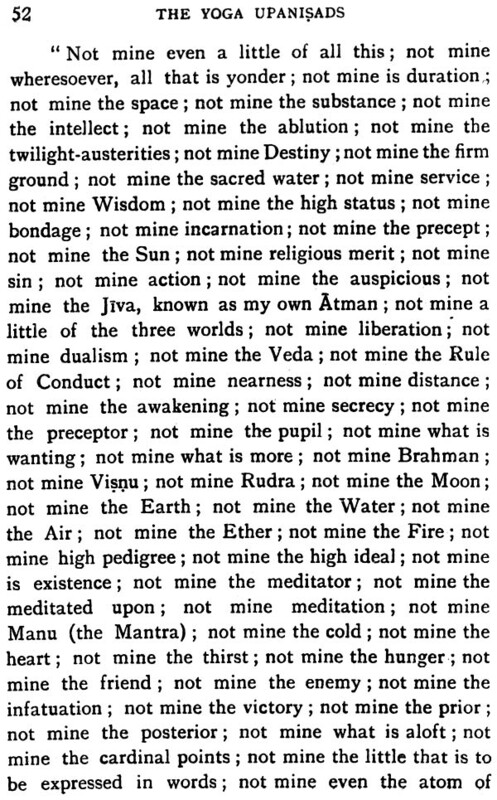 To be honest, after a while, with minor deviations, these Upanishads seem to send the same message. That message is the central philosophy of yoga. What is clear from these pages is that while all limbs of yoga have equal importance, the importance of pranayama is emphasized. 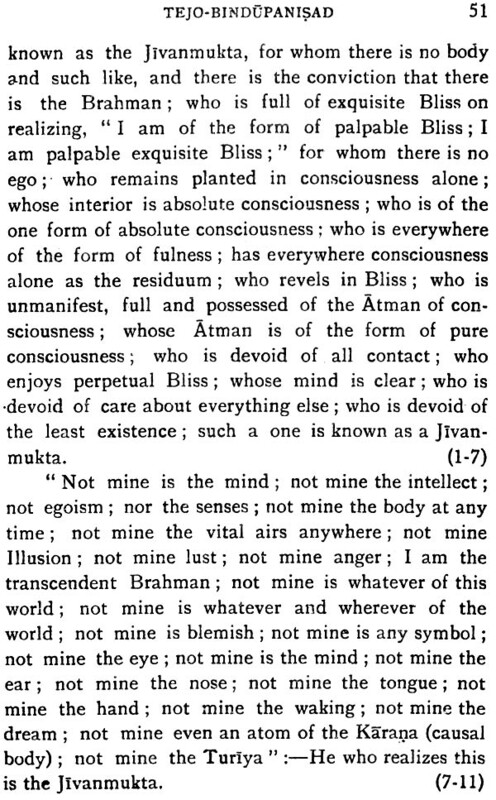 Here is where the Upanishads delve into its deep philosophy. Pranayama travels through the main subtle channels — nadis — the Ida (Right Channel), Susumna (Median Channel), and PIngala (Left Channel). Ida is the moon and Pingala is the Sun. 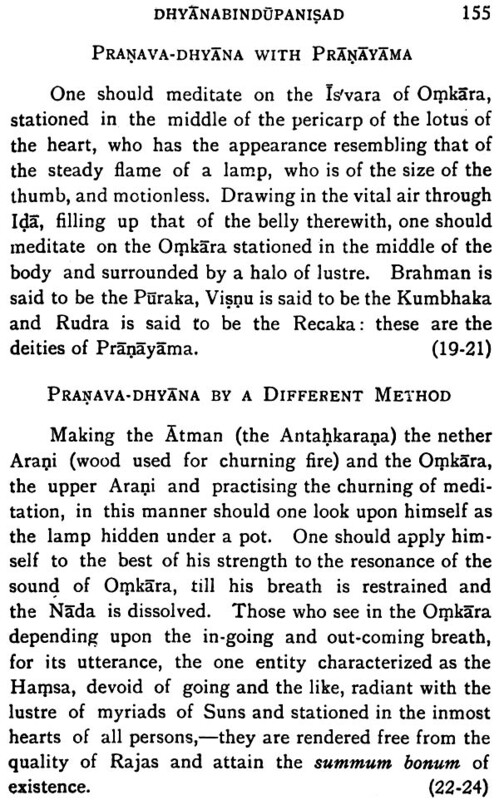 Prana, the Vital Airs, travel downwards through these channels with the inhalation, traveling out the body with the exhalation (apana). The YU repeatedly state that the conjoining of the apana and prana represents Hamsa, the mental mantra which the mind focuses when breathing. 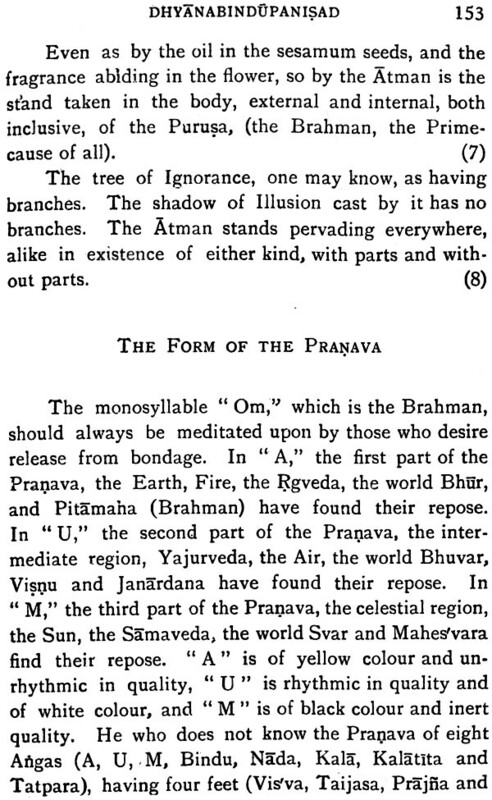 These Upanishads give many synonyms for hamsa, including the paramatman, inner nondifferentiated Brahman, the Supreme Truth, the innermost atman. 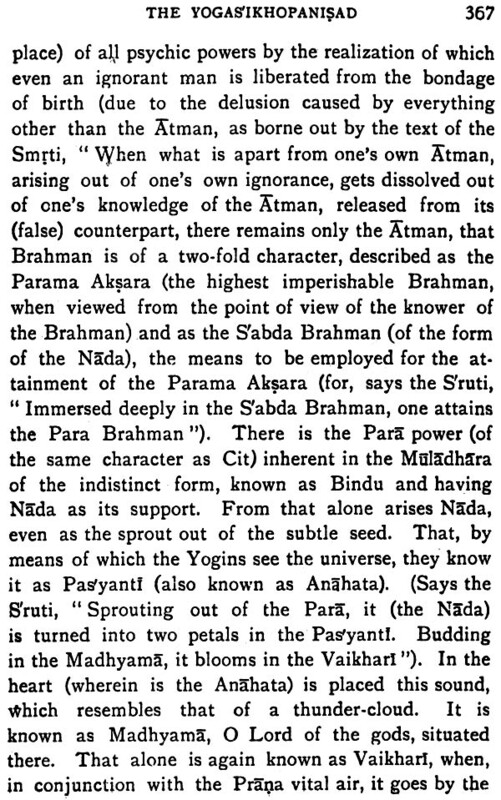 The conjunction and intermixture of apana and prana also allows the kundalini to burst through the Brahmadvara, the door of Brahman, in order that the kundalini may travel up the susumna to achieve enlightenment and Self-Realization. 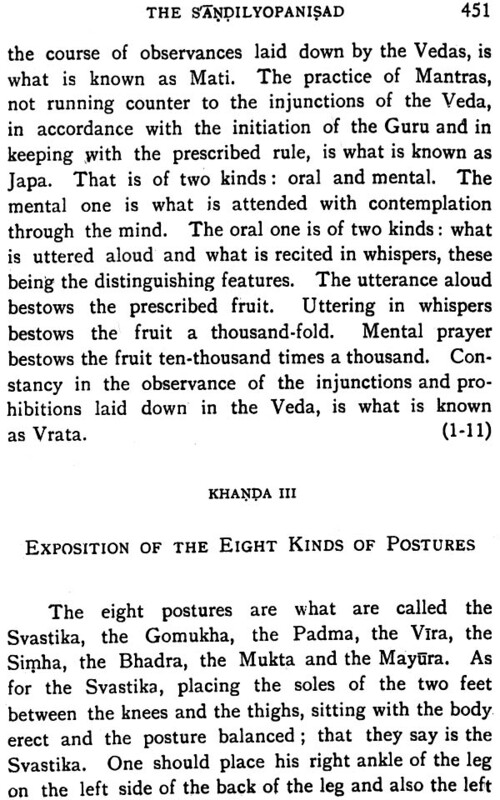 The wisdom in these Upanishads is truly a wonder to experience. 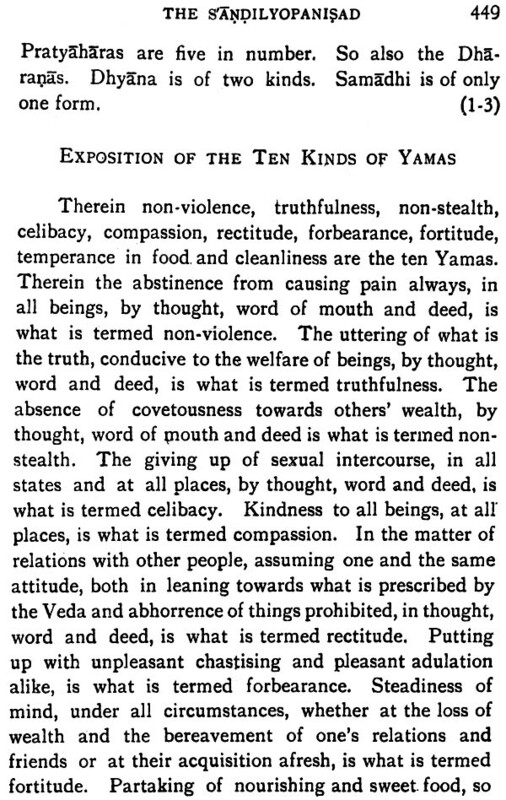 Anyone seriously interested in yoga practice should study and incorporate these teachings to make their practice more worth-while.